The only catch: you have to order online first. WASHINGTON, D.C., USA — If getting out of your car is too hard, but ordering delivery is too easy, Chipotle might have the solution for you. The company is adding more test drive-thru lanes – aptly titled “Chipotlanes” – in several markets across the United States. Drivers can order online and then go pick up their burritos…without ever leaving their car. Food is served at a Chipotle restaurant on October 25, 2017 in Chicago, Illinois. Currently, there are 10 "Chipotlanes," all in the U.S.
Those are located in Illinois, Indiana, Ohio, Tennessee, Texas and Virginia. The first one opened in January 2018 in Pickerington, Ohio, according to a company spokesperson. 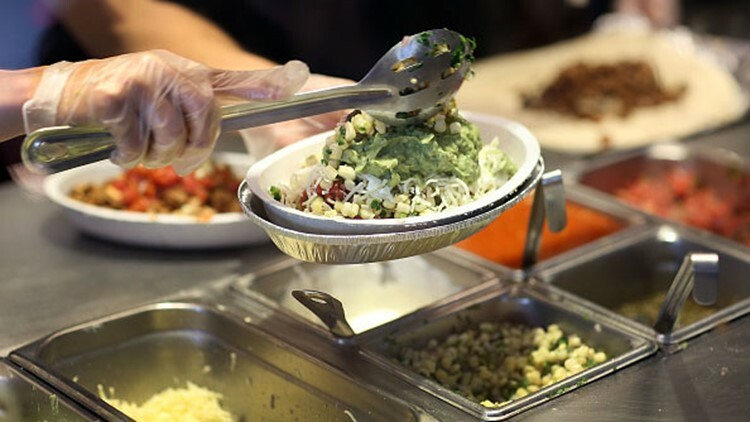 Business Insider reports Chipotle executives said on a call to investors Wednesday the existing test lanes have boosted both digital orders and overall orders. 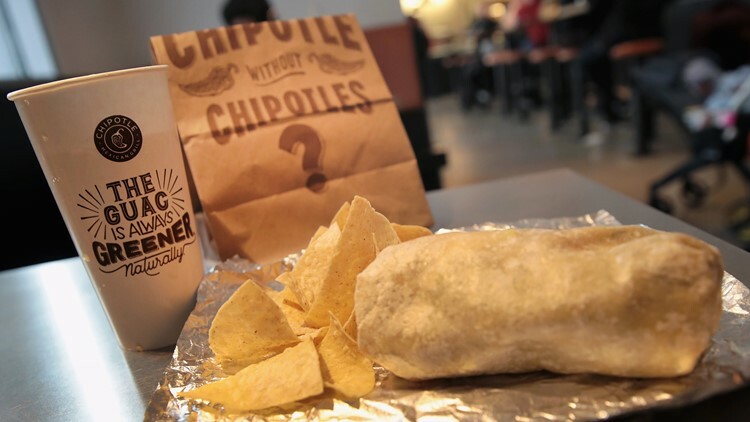 Chipotle announced strong fourth quarter 2018 results this week, pointing to a 10.4 percent increase in revenue, and a 65.5 percent increase in digital sales. Currently, according to a release from the company, online orders account for about 13 percent of sales.